Beat the eggs and add pepper and parsley. Season the scallops with salt and garlic (reduced in powder). 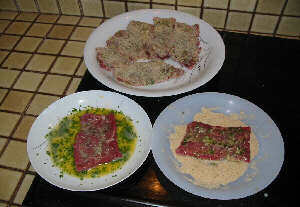 Cover the slices of meat with mustard. 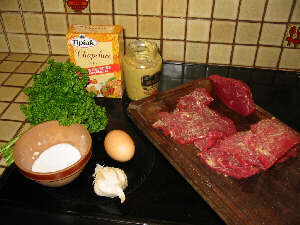 Dip the fillets in the egg mixture and cover with breadcrumbs. 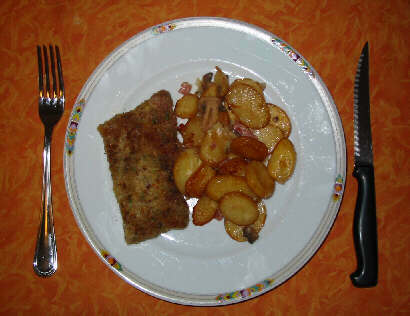 Fry the breaded cutlets in a greased pan. Serve the meat with rice, fried potatoes, salad, mashed potatoes etc.